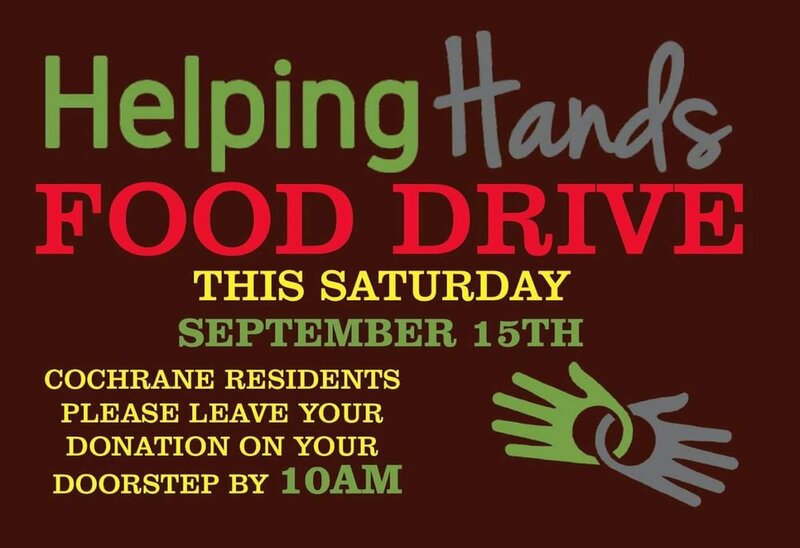 Leave non-perishable foods on your step before 10am, in the bag provided in the weekly Cochrane Eagle and a volunteer will pop by to pick it up before noon. If you did not receive a bag, any bag or box will do! THANK YOU for supporting the Cochrane and Area food bank needs.